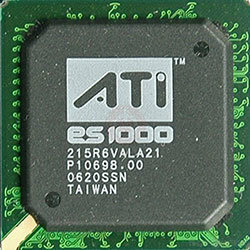 The ES1000 was an integrated graphics solution by ATI, launched in October 2007. Built on the 180 nm process, and based on the ES1000 graphics processor, the device supports DirectX 6.0. 3 texture mapping units and 1 ROPs. Due to the lack of unified shaders you will not be able to run recent games at all (which require unified shader/DX10+ support). 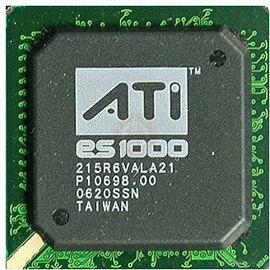 The GPU is operating at a frequency of 200 MHz. Its power draw is not exactly known. 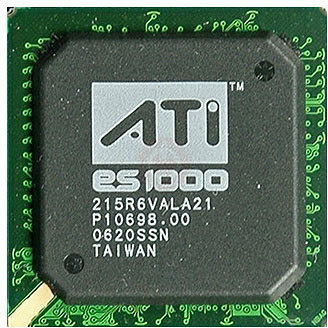 ES1000 is connected to the rest of the system using a PCI interface.